You’re sure to stand out at your next game in the Rugged Drill Short. The high performance 100% cotton drill short is built for strength and reflects our commitment to cutting-edge fabric technologies and technical excellence. With an elasticated waist and adjustable drawcord, this short gives you maximum range of movement as well as a perfect fit for comfort. The tape side pockets are added for convenience, so you can keep items close at hand even when on the field training or playing a game. 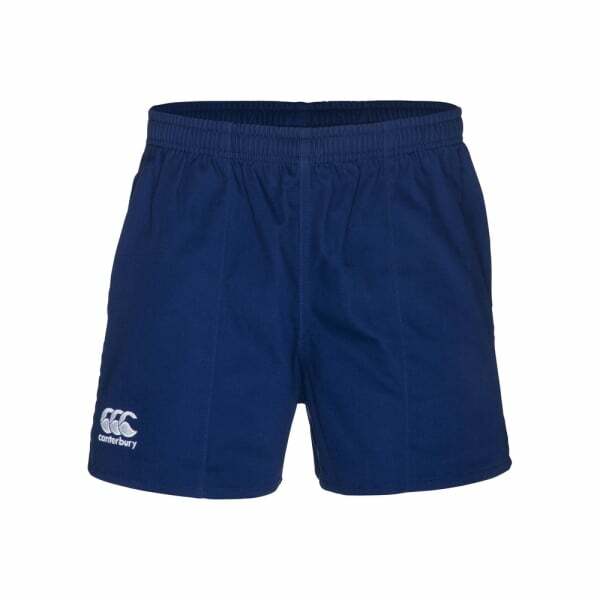 Continuing Canterbury’s tradition of iconic sporting style, the short is complete with flat felled seams and the distinct CCC embroidery on the right, so you’ll immediately identify with Canterbury’s well-established community of fans and athletes.